EOS has become one of the most important blockchain projects of the last few years. It is not only a competitor of other smart contract platforms like Ethereum, but is also a true third-generation cryptocurrency platform. EOS tokens are ERC-20 compatible tokens distributed on the Ethereum blockchain. You can buy them on exchanges like Bitfinex or Kraken, and store them in an EOS wallet. If you want to buy EOS tokens, you’ll need to find an ERC-20 wallet that provides safe, easy, and convenient storage. There are several options to choose from, so let’s take a close look at some of the best EOS wallets, and review their key features. A cryptocurrency wallet is a software program that you can use to store, send and receive various cryptocurrencies. The wallet doesn’t exactly “store” your money as a real-world wallet does. 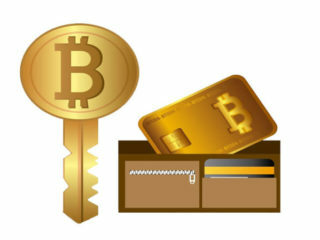 Instead, it saves your public and private keys which in turn helps you send and receive money. So after buying EOS coin on one of the exchanges, you should transfer the money to an EOS wallet for safe storage. 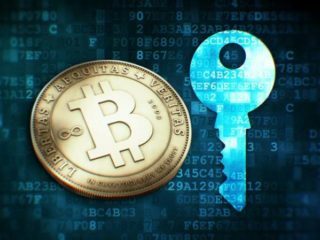 The public key is the address that anyone can use to send you the money, while the private key is what you will use to send money to anyone else. Remember, ONLY YOU should know your private key, otherwise anyone can use your wallet to send your money to any other addresses. Currently, EOS is still being handled on the Ethereum blockchain as an ERC-20 token, but the eventual plan is to migrate it onto its own network. You’ll be able to take all of your tokens with you when that happens. 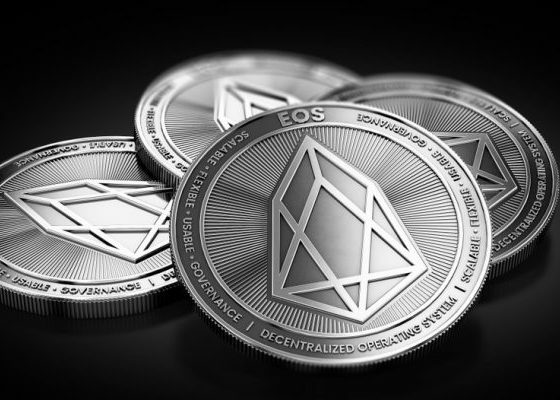 Until the EOS network is live, any ERC-20 compatible cryptocurrency wallet that can hold Ethereum should also be able to hold EOS tokens. 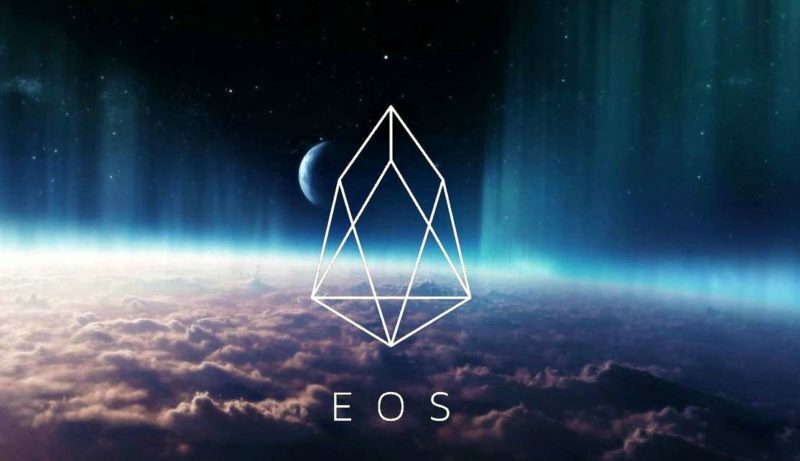 However, take note that following the full release of the EOS platform in 2018, these tokens will move to the EOS blockchain. There are a few different types of wallets available to you. Let me remind you that there are two methods of storage that you can use to store your crypto: hot storage and cold storage. Hot storage is like the wallets that you carry around in your pocket. In simple terms, it is when you keep your cryptocurrency in a device which is directly connected to the internet. Online (cloud wallets), desktop and mobile apps are among the hot storage wallets. Cold storage is somewhat akin to your bank account. When you keep your currency in a device which is completely offline it’s called cold storage. Hardware wallets are physical devices where you can store your cryptocurrency. They come in a few forms but the most common is the USB stick style typified by the Nano Ledger series. Here are some hardware devices that you can use: Ledger Nano S, Trezor or Keepkey. Another safe way to store your EOS coins is by using an EOS paper wallet. It is an offline cold storage method of saving cryptocurrency that includes printing out your public and private keys on a piece of paper which you then store and save in a secure place. The keys are printed in the form of QR codes which you can scan in the future for all your transactions. You just need to take care of the piece of paper. Keep this distinction in mind as we move forward. If you want to use your currency frequently then you should use hot storage. On the other hand, if you want to store your money for a long time then you should probably use cold storage. Ledger Nano S Hardware Securely store some of the world’s most popular cryptocurrencies on the Ledger Nano S.
TREZOR Hardware TREZOR is a secure way to keep your cryptocurrency safe from hackers and malware. Web A relatively new wallet on the market, Jaxx offers multi-platform support for seven different cryptocurrency assets. MyEtherWallet Web MyEtherWallet (MEW) is a free, open source tool for creating wallets that work with the Ethereum platform. Exodus Desktop Client Founded in July 2016, this free desktop wallet offers support for multiple cryptocurrencies including live chart tracking features. Coinomi Mobile A multi-coin crypto wallet designed for storing multiple cryptocurrencies on your mobile, including bitcoin and Ethereum. 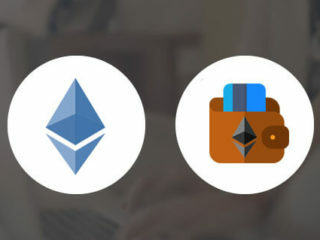 Eidoo Mobile Offering support for nearly 500 cryptocurrencies, this HD mobile wallet is user-friendly and gives you full control of your private keys. Web Along with being a decentralized cryptocurrency exchange, Altcoin.io offers users access to its beta release atomic swap wallet. Mist Desktop Client This is an official Ethereum desktop wallet. Freewallet Mobile Freewallet is a free, open-source EOS token wallet for iOS and Android devices. 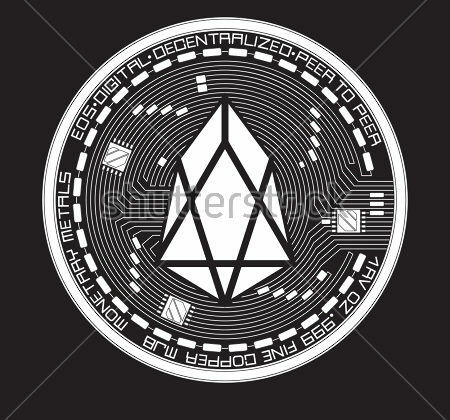 This is one of the best EOS web wallets. This is an open-source free wallet where only you are in charge of your own security as developers are not able to access to recover your keys. MEW is a client-side interface that interacts with the Ethereum blockchain. Although you can easily create new wallets in your web browser with MEW, it’s not actually an online wallet. Even though you create the wallet through the web, all of your information and your funds are stored on your computer, not on the MEW servers. There’s no personal information required to create a wallet, allowing you to maintain anonymity, while integration with hardware devices like the Ledger Nano S and TREZOR provides increased security. To create a new wallet, visit the MyEtherWallet website and enter a password that would be hard to guess (but which you won’t forget!). Press the ‘Create New Wallet’ button. Click ‘Download Keystore File’. Be sure to read and understand the warnings. It’s very important that you back this file up somewhere safe (think multiple external hard drives and/or USB drives that you put somewhere safe). Click on the ‘I understand. Continue’ button. 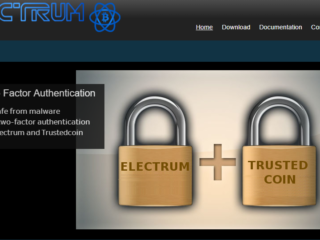 Now you will be given a powerful, unencrypted private key to your wallet. Never give your private key to anyone. If you do, they can open your wallet and take your coins. Click on the ‘Save your address’ button. Select the ‘Keystore File’ option, then upload the keystore file you saved in step 3, then enter your password. You will see a long string of letters and numbers labelled ‘Your Address’. This is your personal EOS address. Jaxx is a relatively new cryptocurrency wallet with one main goal: to simplify the blockchain and attract the masses to its unique value proposition. It is a multi-chain wallet that offers support for seven different cryptocurrency assets. If you’re new to the cryptocurrency space, you’ll be happy to know that Jaxx gives you access to the world’s biggest crypto by market cap. It’s also designed to work and sync across all your devices. Jaxx can be downloaded to your desktop or mobile device for free. Like other wallets, Jaxx applies transaction fees, which go to the networks that run the cryptocurrency you are trading. The platform does not collect any information about you on signup as it requires no information or verification. Additionally, your account can be backed up through a single master seed, which refers to the string of random words that can help you recover your coins. Simply download the Jaxx wallet to your preferred device. After installing the Jaxx, confirm the user agreements and select the ‘create a new wallet’ option. There are two possible options for creating a wallet on Jaxx, the express option or the custom option. The custom option allows you to setup all the necessary security features before using the wallet and storing coins. Select the cryptocurrencies that you would like to store and the fiat currency that your holdings should be shown in. Set up the Masterseed phrase. Jaxx provides you with this 12-word phrase in case you lose access to the device with your Jaxx wallet. Keep this phrase written down somewhere as this will be the only way to gain access to your coins if you lose the device. Set up a 4-digit security pin, through which you will have regular access to your wallet. This is the final step in the creation of a Jaxx wallet. Importantly for EOS users, Jaxx provides detailed instructions on how to register your ERC20 EOS tokens for the change to the EOS mainnet in June. One of the unique things about Freewallet is that the company retains control of each customer’s private keys. They keep the majority of users’ funds in cold storage – similar to how an exchange would keep your funds. However, if you’re the type of user who likes to retain control of your private keys, then Freewallet would not be your ideal choice. Obviously, you’re free to transfer your private keys and coins from Freewallet to another wallet at any time. Freewallet is a team of Estonia-based developers who have created a large number of wallets across the cryptocurrency industry. The company’s easy-to-use wallets let users access cryptocurrencies regardless of their technical skills or experience. If you lose your device, you don’t have to restore it from a backup. You can freeze your account or access it from any Android or iOS device. Freewallet offers smart transactions. You can transfer money between currencies. View Freewallet’s current rates on their website. Go to the Freewallet website to Sign up and create your wallet. Click on the ‘Create a wallet’ button, enter your email and a password. In order to receive the EOS crypto, you need to create an EOS wallet. To top up your EOS wallets with EOS cryptocurrency, use your personal web-link that is available on the Settings tab. The Ledger Nano S boasts a number of safety features, but its biggest claim to fame is the price tag attached to it – the Nano S is the cheapest hardware wallet with a screen. If you’re looking for a hardware device that stores the world’s leading digital currencies, Ledger Nano S offers an attractive value proposition. When you setup your Hardware wallet, you will be given a string of words which is known as the “Recovery Seed” and you can use this to restore your device if it is ever lost, stolen or damaged. 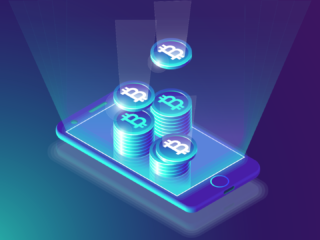 It is extremely important that when you have created your recovery seed, that you store it somewhere safe as this can be used to recreate the wallet and access any funds on there. Once your Ledger arrives, it will be sealed in cellophane – you will notice it does not have a security seal like the Trezor does. This is because the device has built-in anti-tamper software which will detect if the device has been altered in any way since it left factory. This is very useful to know as there have been cases of people selling Hardware wallets on eBay with the recovery seed already setup, essentially providing access to the device before ever reaching the customer. To get started setting up your device, you will need to connect it to your computer using the USB. Choose a PIN number of a minimum 4 digits and make sure you memorize this or write it down somewhere safe. The PIN is used for every operation on the device and it will be unusable without this. Write down the 24 recovery words in the order that the device gives them to you. Once you have written down each word, the device will then check 4 of them back with you – you will need to confirm on the device the correct words as requested. Congratulations! “Your Device is Now Ready”. If you’re looking for an EOS wallet designed to be as user-friendly as possible, the Exodus might be right at the top of your shopping list. The first thing that stands out about Exodus is its design. It is full of charts as well as personalization features. Like other desktop wallets, Exodus stores cryptocurrency assets directly on your machine. Since Exodus is a lite wallet, you never have to download the whole blockchain to your computer. It is compatible with Windows (64-bit), Mac OS and Linux. Users can also join the Exodus Movement on Slack, a popular messaging platform. Exodus charges a transaction fee each time a payment is processed. The fees themselves are paid to each blockchain network (bitcoin, Ethereum, Litecoin, etc.) and are not kept by Exodus. Go to Exodus website and click the Download button at the top of the page. Choose your version and wait for the download to complete. Now your wallet is ready to receive the EOS crypto. After EOS went live, the token separated from its identity as an ERC20 token on Ethereum and become its own entity. And this means that you need to register your EOS tokens – otherwise, you’ll lose them forever. If you bought your EOS tokens from an exchange, you have probably registered them already. Or maybe you were lucky to have your exchange doing an automatic swap for you. So now you need to make up your mind about a good EOS wallet for secure storage of your EOS crypto. 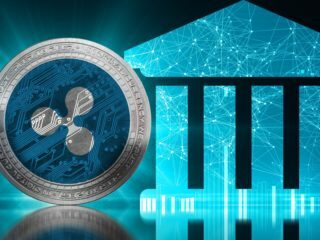 Ripple (XRP) Destination or Withdrawal Tags – What Are They? 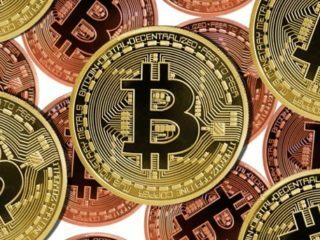 How to Store Bitcoin on USB Stick or Wallet?